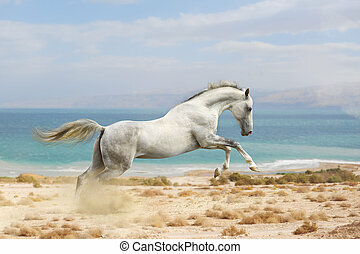 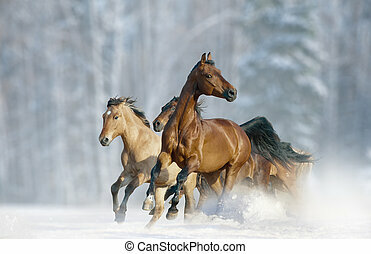 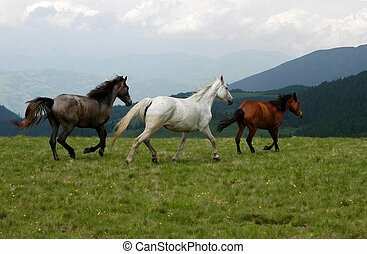 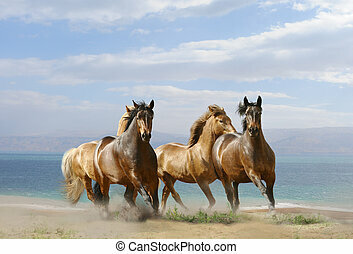 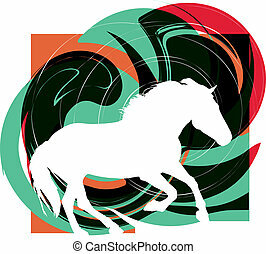 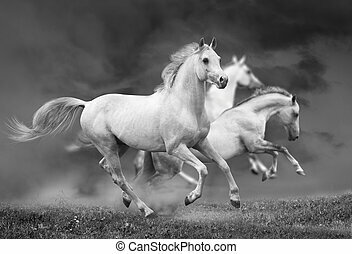 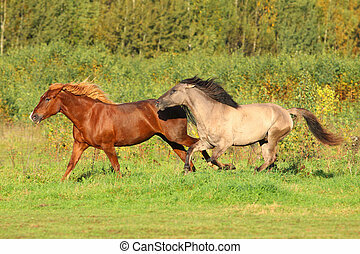 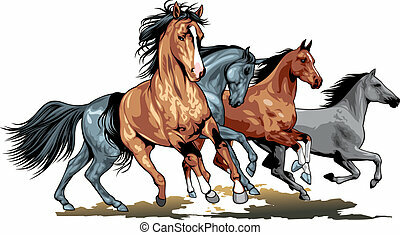 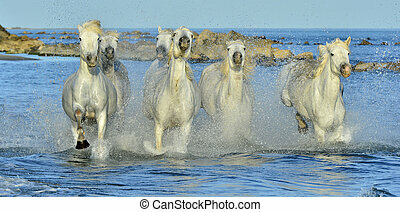 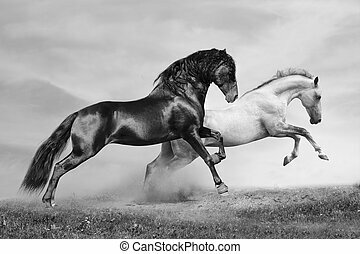 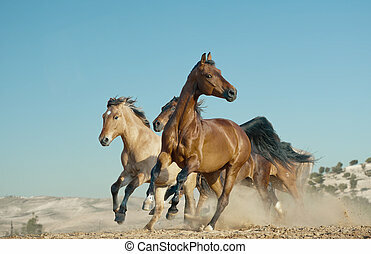 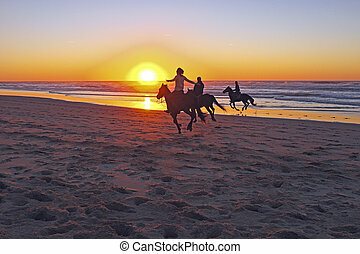 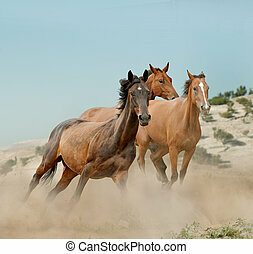 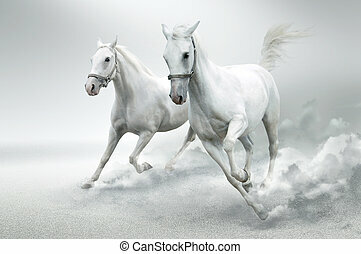 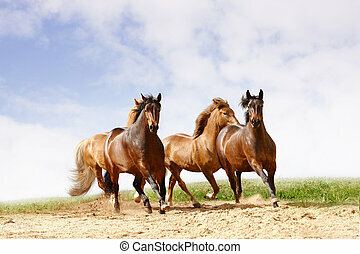 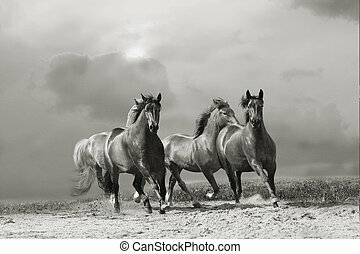 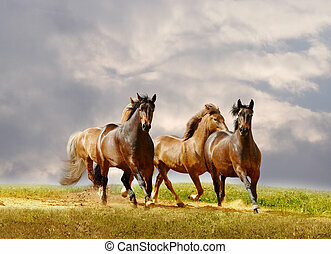 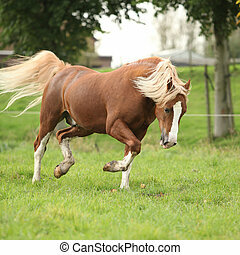 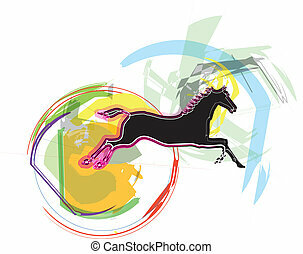 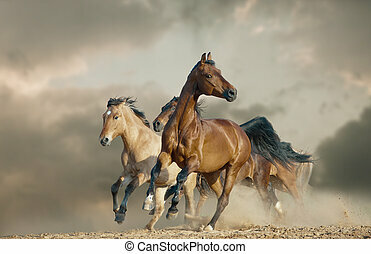 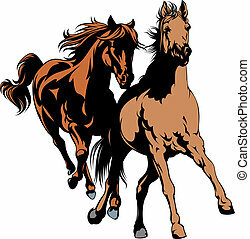 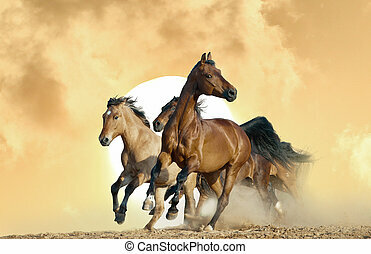 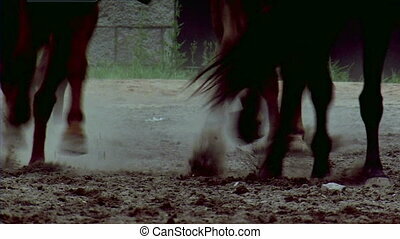 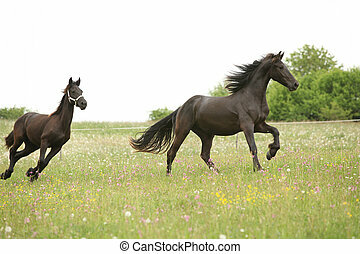 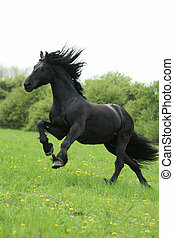 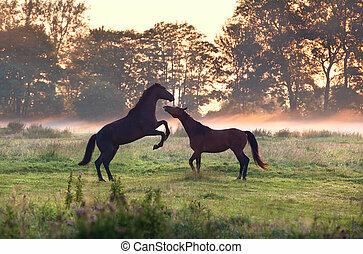 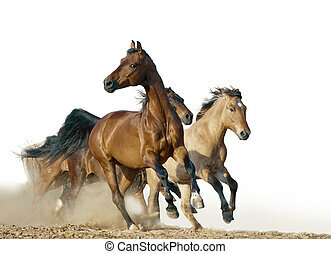 Horses run. 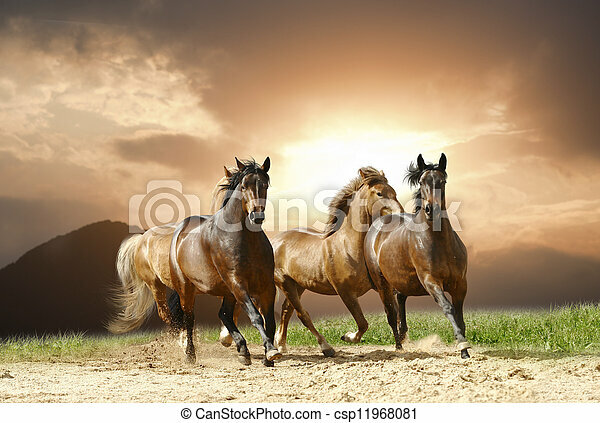 Horses in summer. 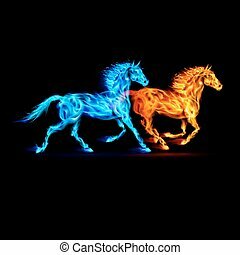 Red and blue fire horses on black background. 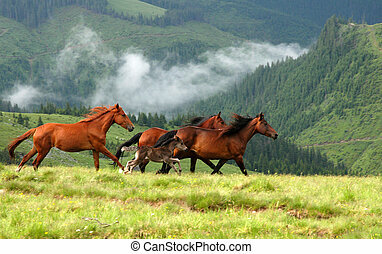 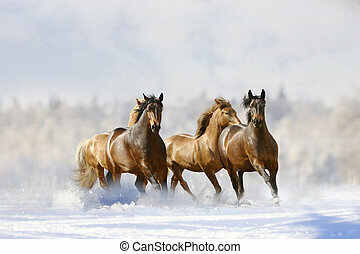 Wild horses in Romanian mountain Rodna.